An open invitation to the Royal Wedding has been extended to the people of Shrewsbury and beyond to celebrate the marriage of Prince Harry and Meghan Markle. It’s not at Windsor Castle but closer to home in the grounds of historic St Alkmund’s Church, St Alkmund’s Square, where a giant screen will show BBC TV coverage of the big day in a carnival atmosphere. Shrewsbury Business Improvement District (BID) has organised the free outdoor screening on Saturday May 19 from 10am, with deckchair seating to give a grand view of the proceedings and ice creams for sale. 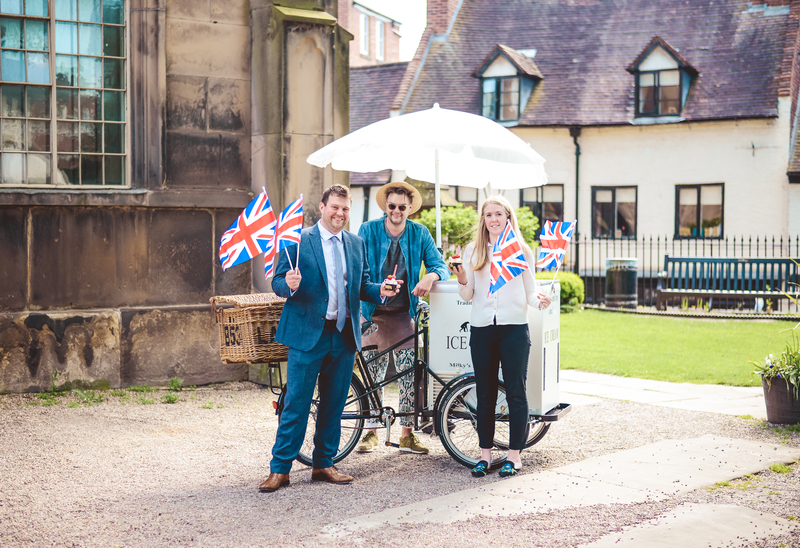 Seb Slater, Executive Director of Shrewsbury BID, said: “It’s a great chance to be part of a community celebration of the Royal Wedding. We’re asking people to come along with picnics and rugs to make a day of it if they wish or just stop by to experience some of the fun. “We’re a vibrant town centre known for hosting a variety of events. I’m sure the screening will appeal to locals and visitors alike who want to do something different and share a memorable occasion. The wedding ceremony starts at noon in St George’s Chapel, Windsor. An hour later the married couple will travel in a horse-drawn carriage for a procession through Windsor.